A number of regulatory changes across the last two years have had a huge impact upon the QROPS industry in Australia. In 2015, new rules were introduced to create a Recognised Overseas Pension Scheme (ROPS) format that, for a time, rendered all existing Australian QROPS non-compliant. However, there are now over 200 compliant ROPS in the country, offering individuals over the age of 55 access to flexible Superannuation funds, avoiding paying double taxation on funds withdrawn, having greater access to investment options, and avoiding losses against the Australian Dollar as the Pound weakens in the face of Brexit and mounting political instability. For those that hold Annuities and UK State pensions, no transfers are permitted, and only those in possession of a Funded Public Sector pension currently qualify for a transfer. The 2017 UK Budget has effectively narrowed down the choice of transfer options for the vast majority of expat retirees around the world; a 25% exit tax was imposed on any pension transfers into a jurisdiction other than that in which the pension holder resides. 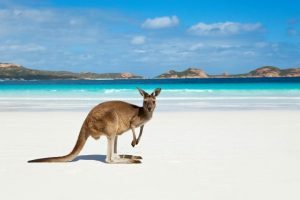 This means that for Australian residents, other previously favoured destinations for transfer such as the Isle of Man, Gibraltar, Malta and Hong Kong, are no longer viable options. But with Australia offering the highest number of Recognised Overseas Pension Schemes anywhere in the world, residents have been afforded the luxury of choice, and the ability to make a careful selection based upon individual circumstances and plans. There are many considerations that must be factored in before committing to a transfer, and despite the outlook for economic growth in the UK beyond 2018 being “highly uncertain” according to the International Monetary Fund (IMF), in some scenarios pension schemes may be best left where they are. Determinants including individual health and well-being, currency confidence, existing investments, inheritance and estate planning, are all hugely significant in pension planning, and only with the guidance of a regulated expert financial advisor with extensive knowledge of the QROPS market, should a pension transfer away from the UK be considered.